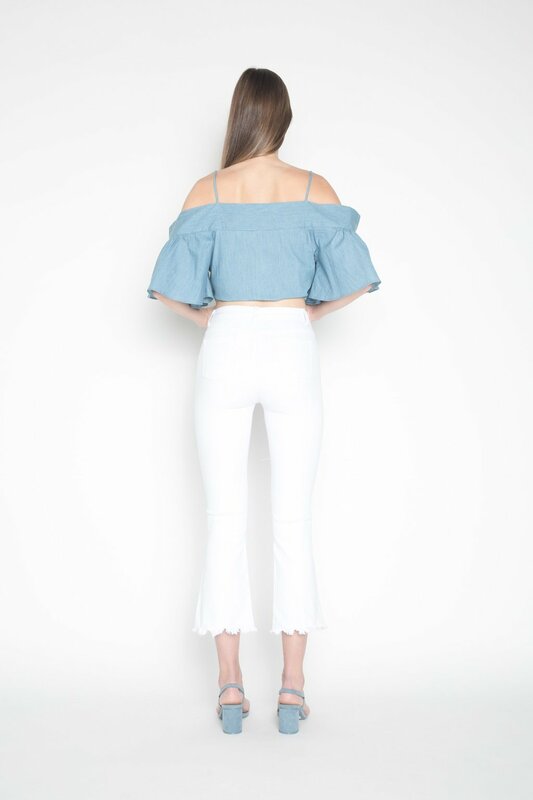 Our vintage take on the classic white jean - this pair features subtle flared hems with distressed detailing on the edges. Minimal yet different, this piece is bound to make a statement this summer. Pair with an off-shoulder blouse and heeled sandals for an effortlessly feminine look.